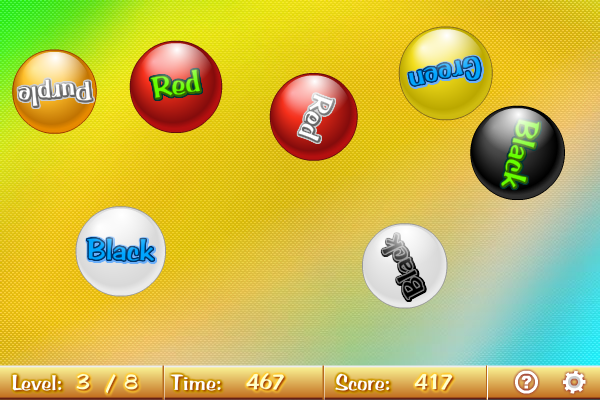 In this game there will be a number of coloured balls with colour labels. You need to click the balls with the correct colour labels as quickly as possible. It may sound easy but the texts themselves also have colours and you may be confused. The faster you click, the higher your score. Sudoku games with numbers, letters or colors. Board size can be from 4 to 20 (default size is 9). You can play many variants - Killer, Greater Than, Consecutive, Odd/Even, Diagonal, Samurai. This program contains editor, solver and can create PDF.